But the main cause of concern involves not a lack of creature comforts but an abundance of creatures—specifically stray dogs (or, as the Russians refer to them, “biological trash“). 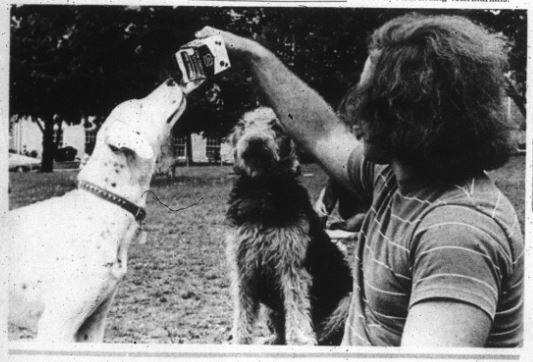 According to several Plaisnman accounts (and I’m pretty sure I remember Dad saying something about it), AU’s campus was crawling with stray dogs a few years in the Me Decade—packs of them, roaming not just outside but inside Haley Center and even into classrooms according to a 1971 blurb in the Plainsman. A year later, it was still a problem. “It looks like Auburn is really going to the dogs!” exclaimed an Auburn student, and this seems to be the consensus among many students as they encounter a growing number of “man’s best friend” on the way to class. William H. Mims, superintendent of maintenance and operation of buildings and grounds, said there is definitely a problem with the number of dogs running loose on campus. The puppies weren’t just a pain. Mims said they were also a safety hazard. By September of ’72 the perception of the problem had shifted. The roving Rovers weren’t just strays, but unleashed pets that were brought to campus and left to their own doggie devices, like splashing in the Haley Center fountain, campaigning for SGA candidates (Basset Hounds ears = portable billboards! ), and accepting milk from hippies. 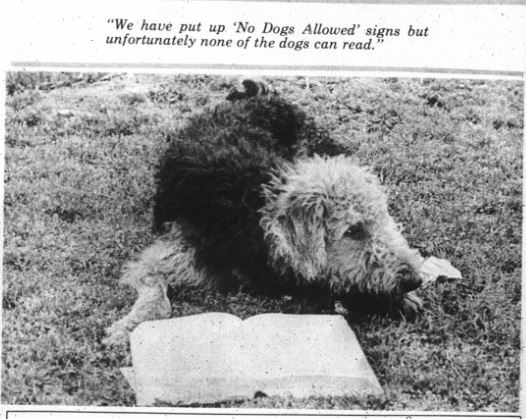 It got so bad, the University Senate actually considered lobbying the City of Auburn to strengthen its rarely enforced leash law (which actually didn’t specifically prohibit unleashed dogs). 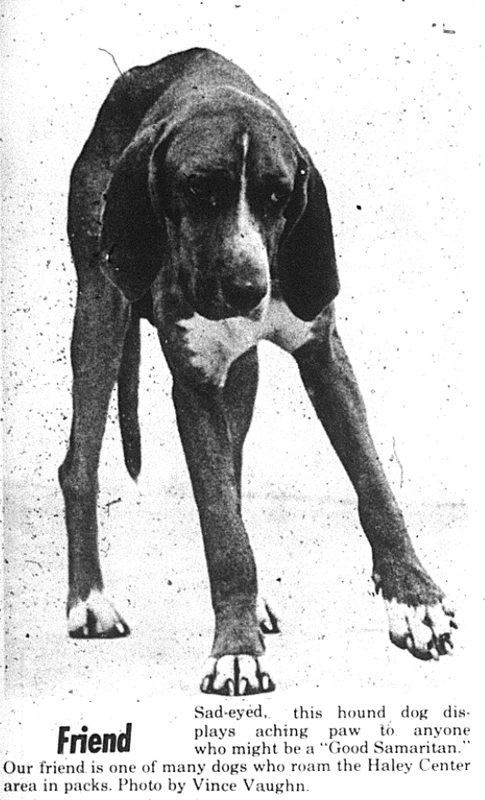 Problem was, no one knew whether the city’s dog ordinance extended to the university. It was ultimately decided that it didn’t. Go figure. How the problem was solved is lost to history. But it definitely wasn’t the Sochi solution. No, folks at Auburn thought just straight up killing unwanted animals was for the birds. Related: War dog that assisted in assault on bin Laden may have been trained at Auburn.